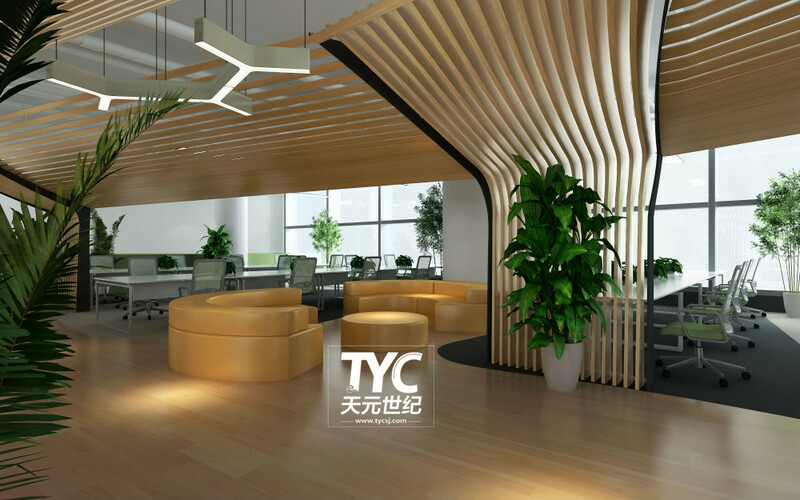 Ants financial services group was founded in 2004, pay treasure to start, with pay treasure, balance, lucky treasure treasure, treasure, bank of electronic retailing, ants spend bai, sesame credit, financial cloud, ants DengZi business sector. 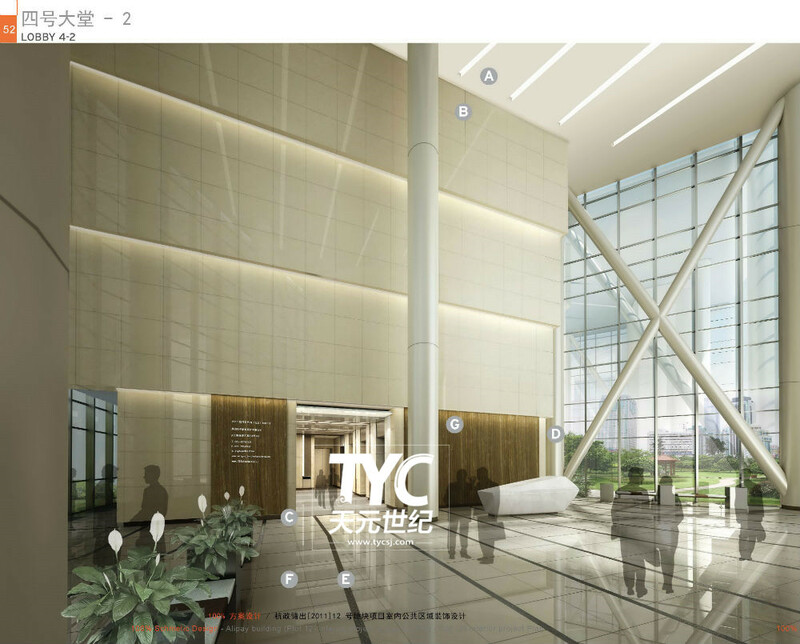 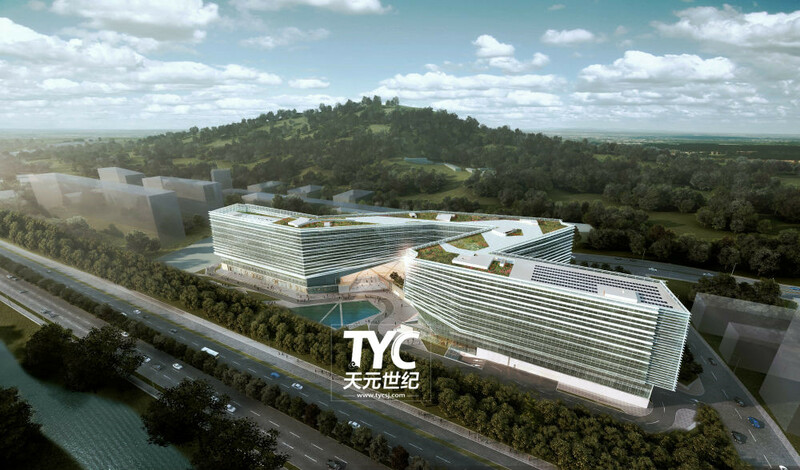 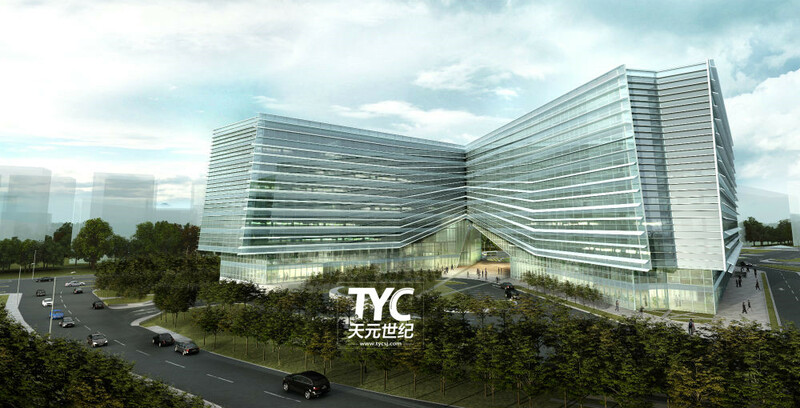 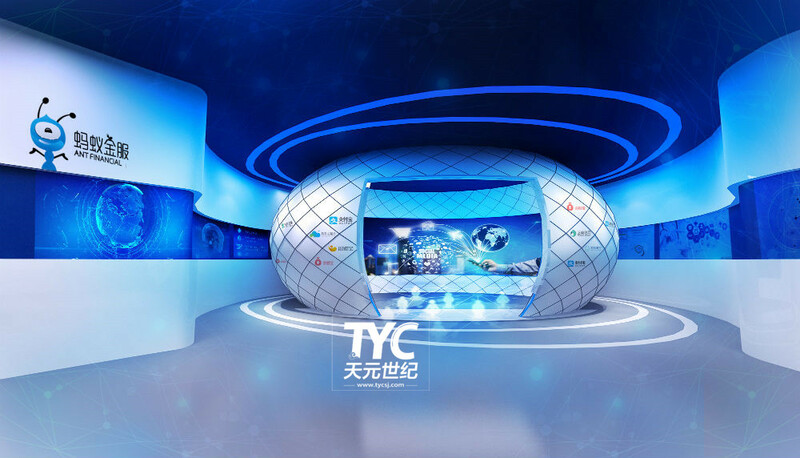 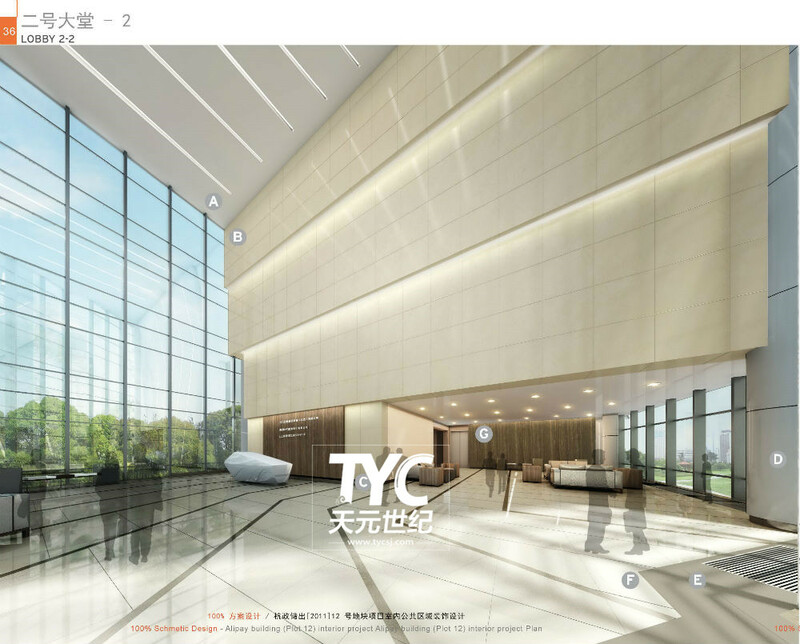 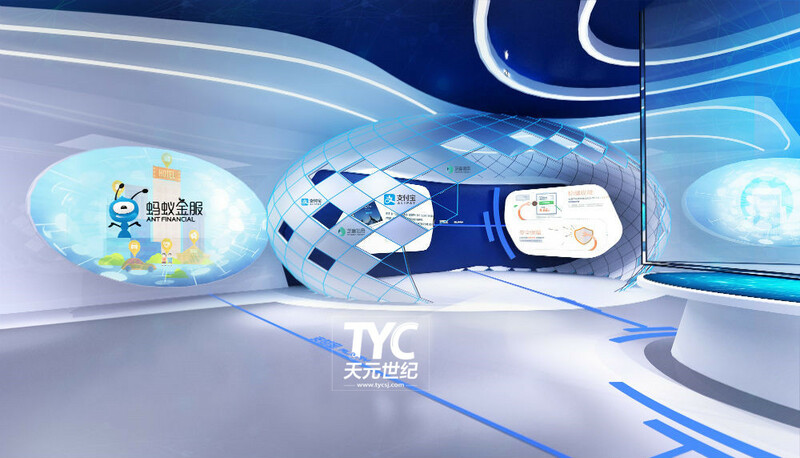 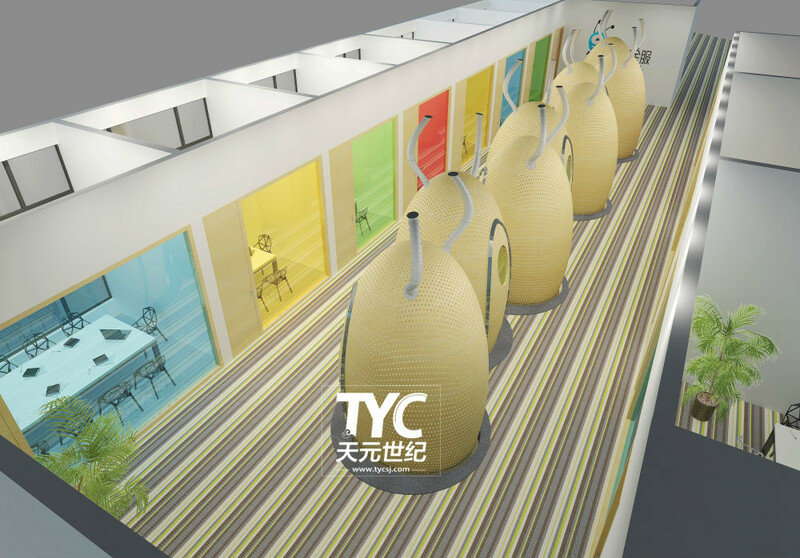 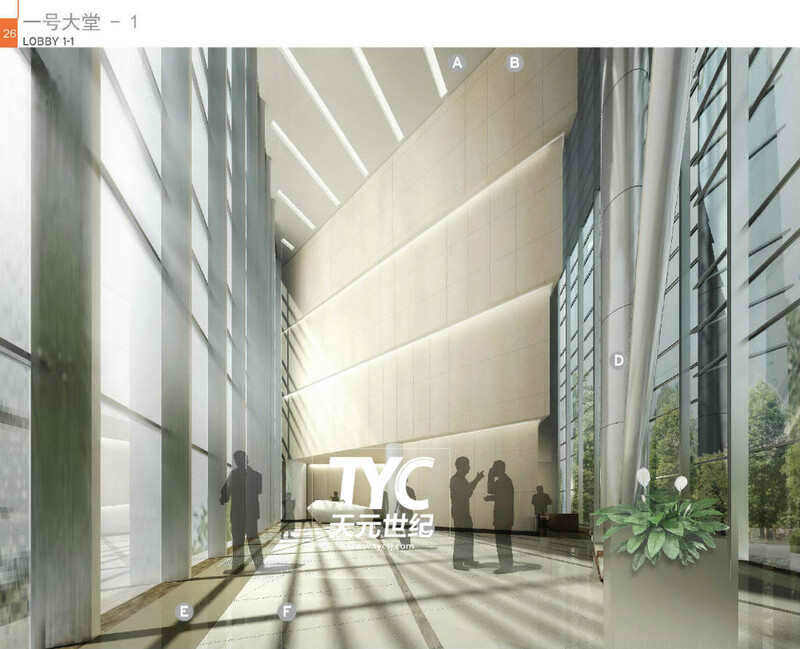 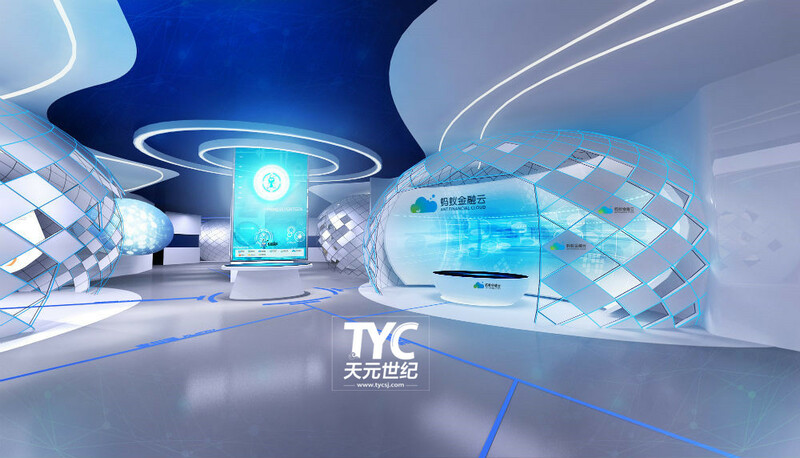 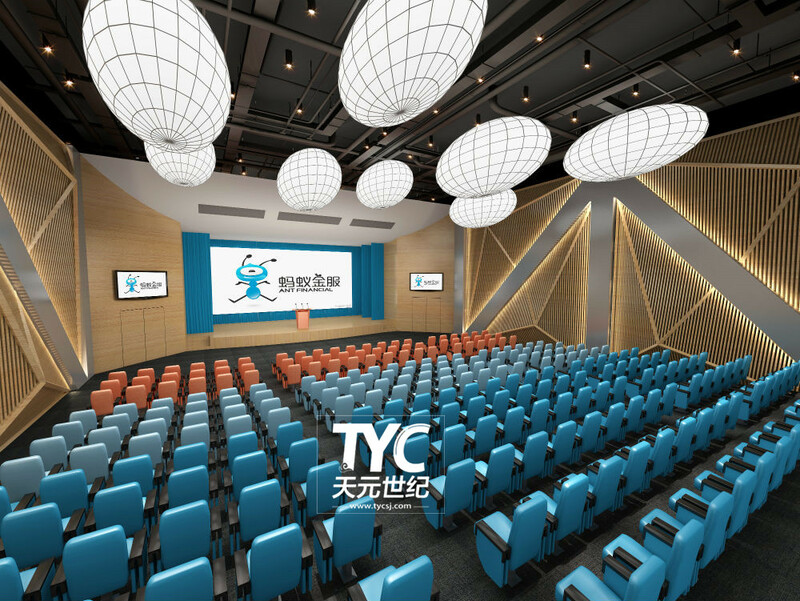 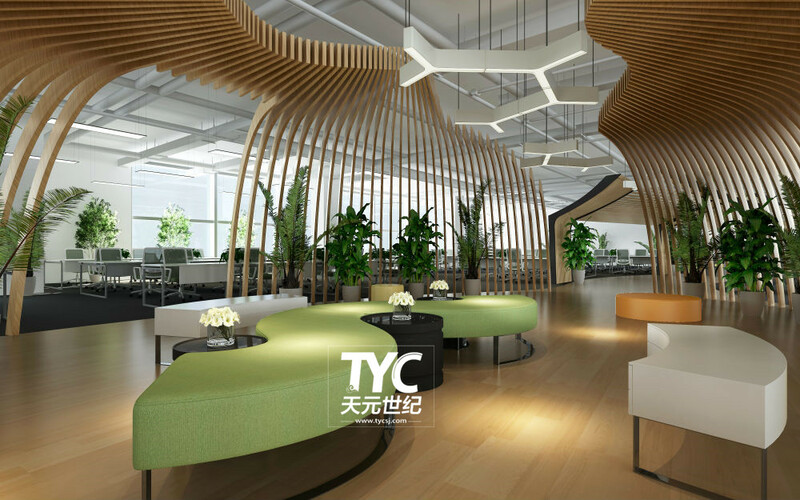 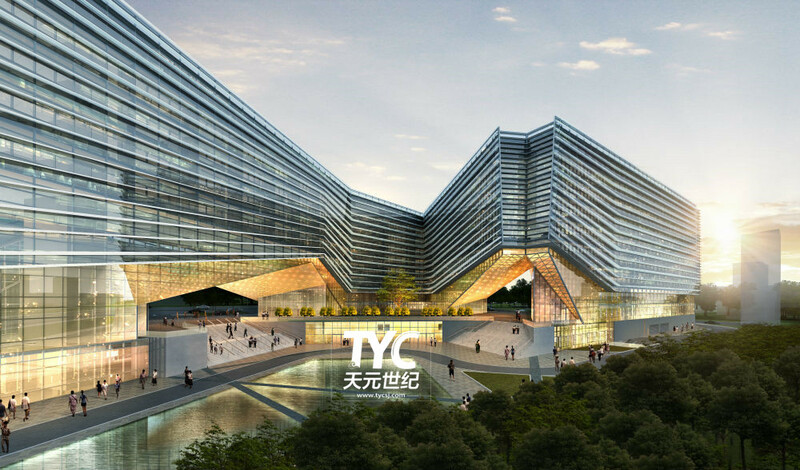 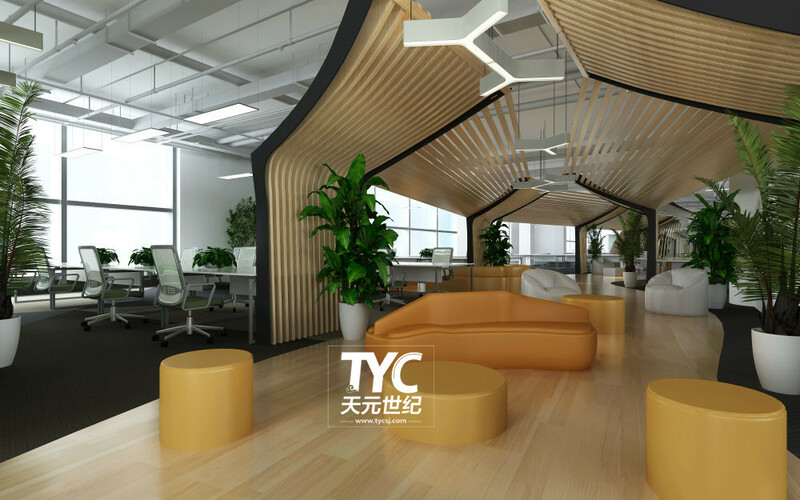 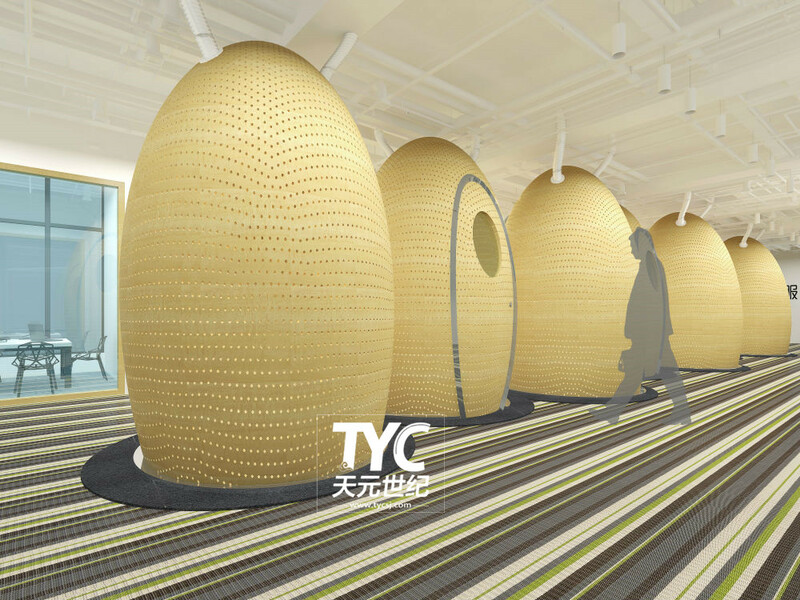 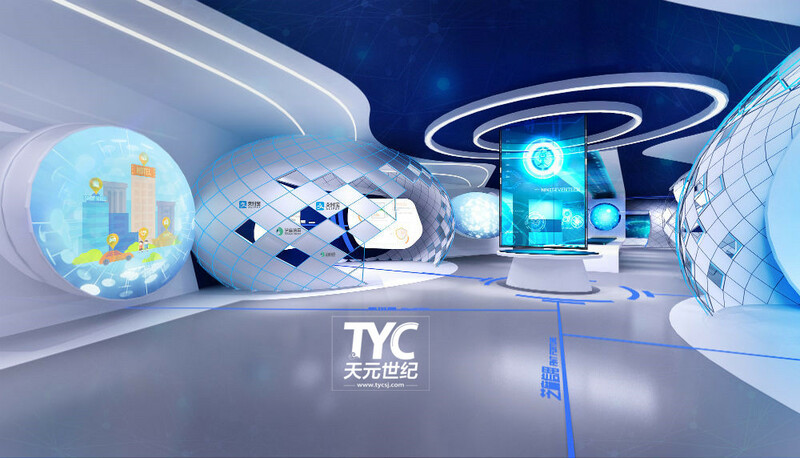 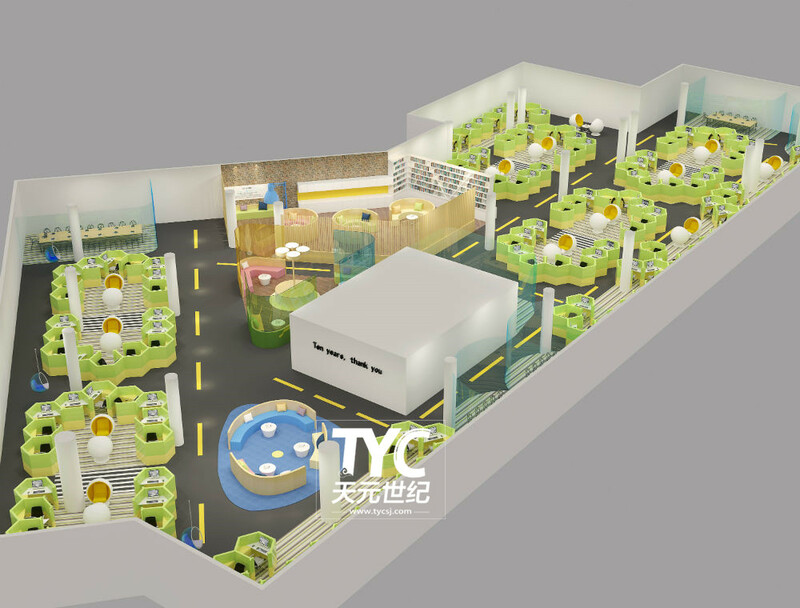 This project based on the characteristics of the Internet financial institutions services mainly in young people, outstanding creative innovation design, hall USES the blue dream of science fiction mean strong modelling, by Internet unicom families of the earth. 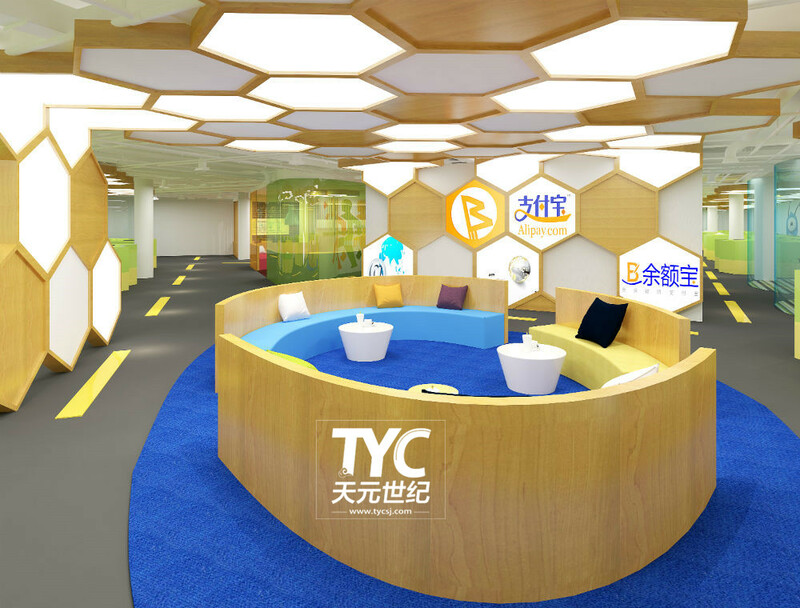 At the front desk with bee network structure, highlight the Internet genes, with colorful service of unicom and colorful life. 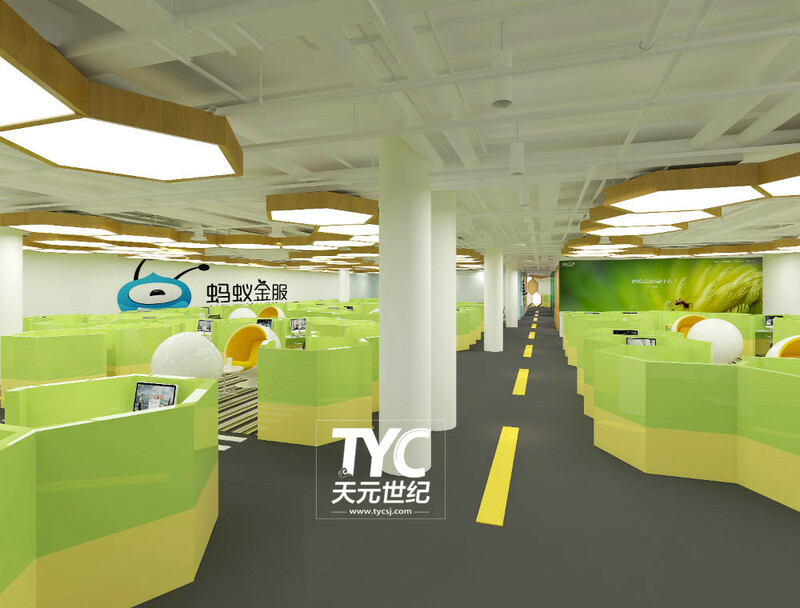 Open area with green color, same with hexagon model location echo ceiling of hexagon light box, special team characteristics make ants.